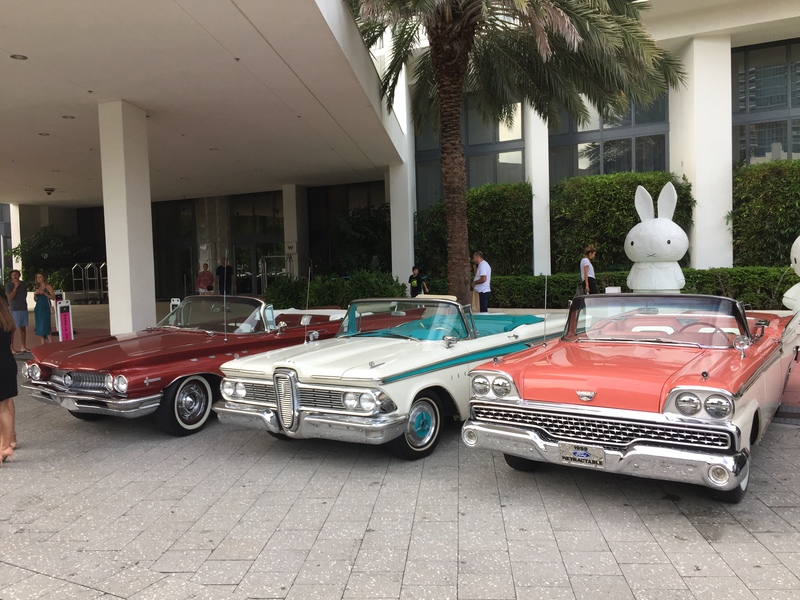 The Classic Car Collection features beautifully restored antique convertible cars from the mid 1900s. 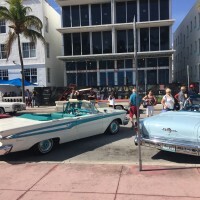 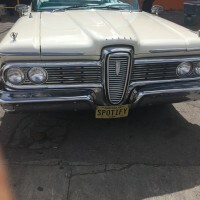 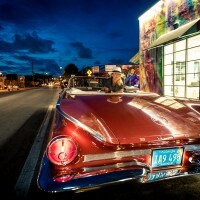 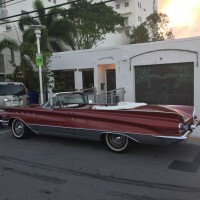 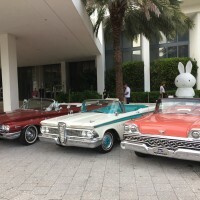 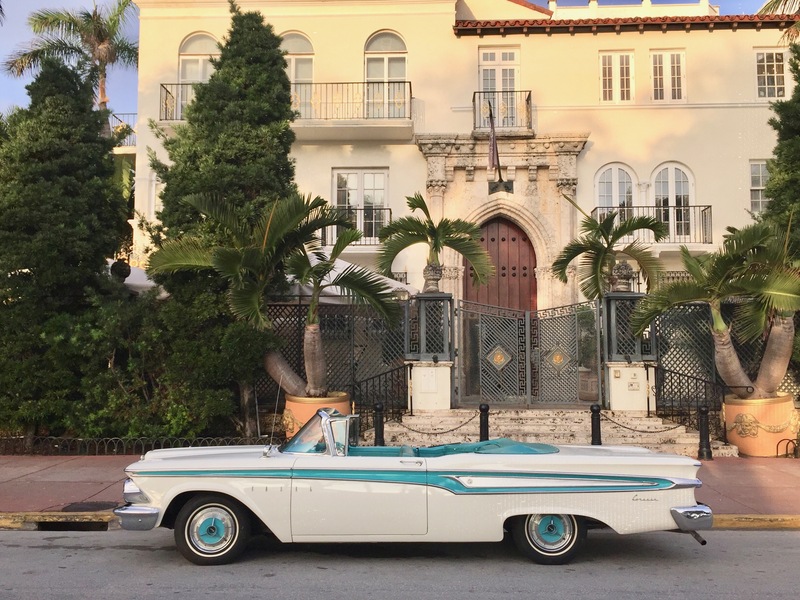 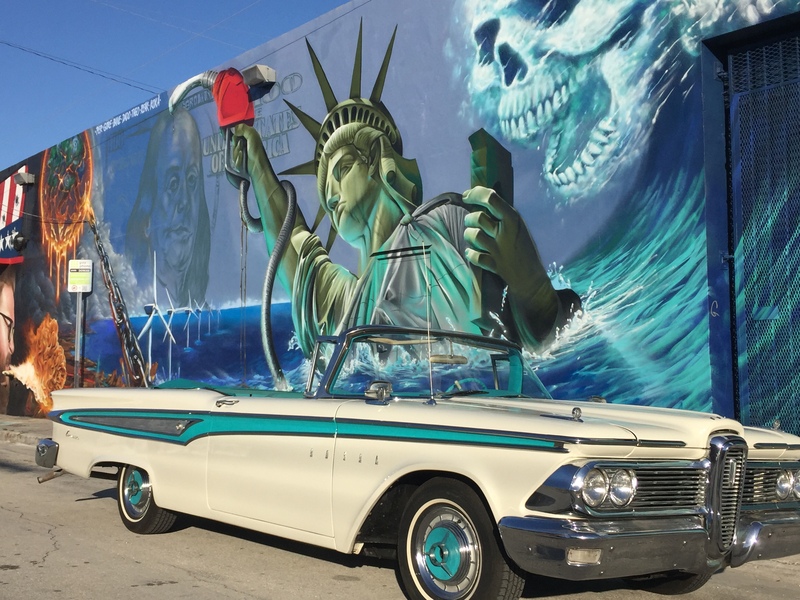 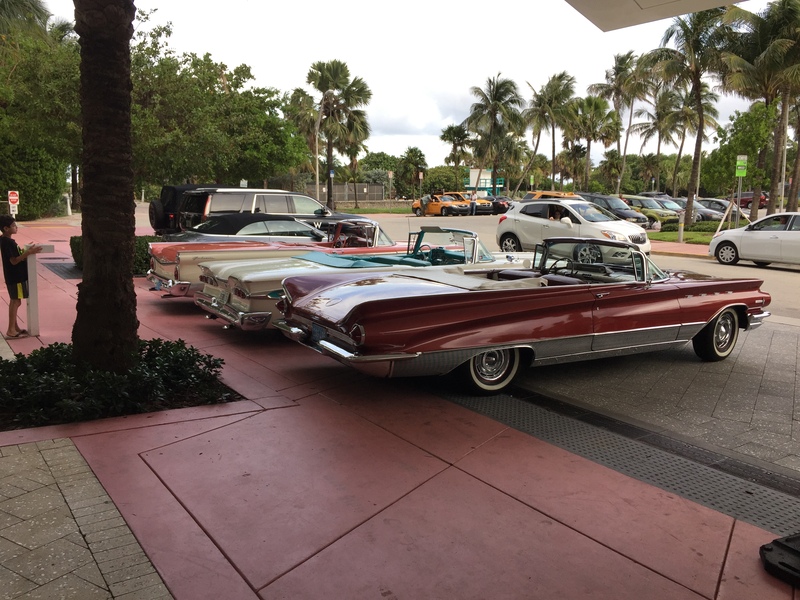 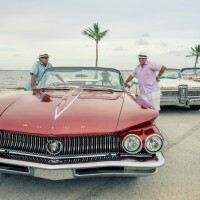 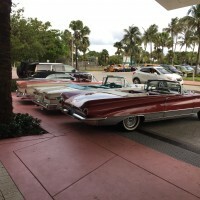 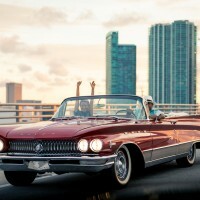 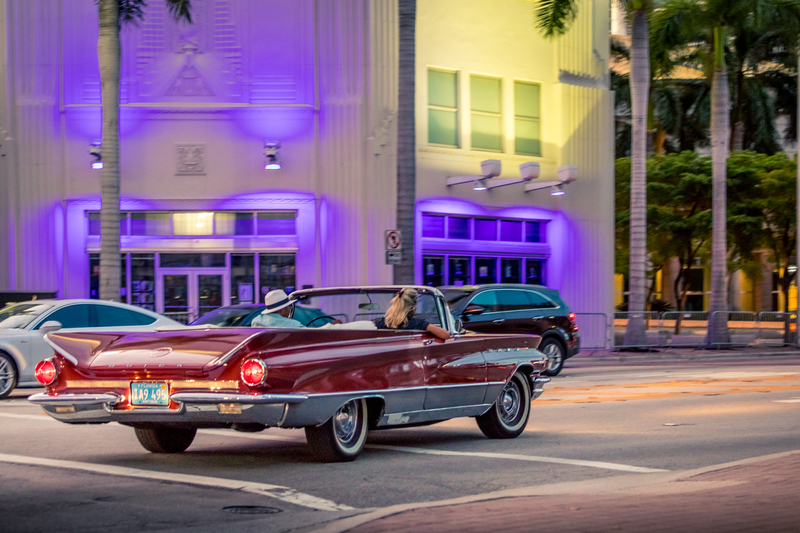 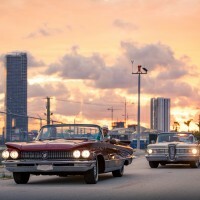 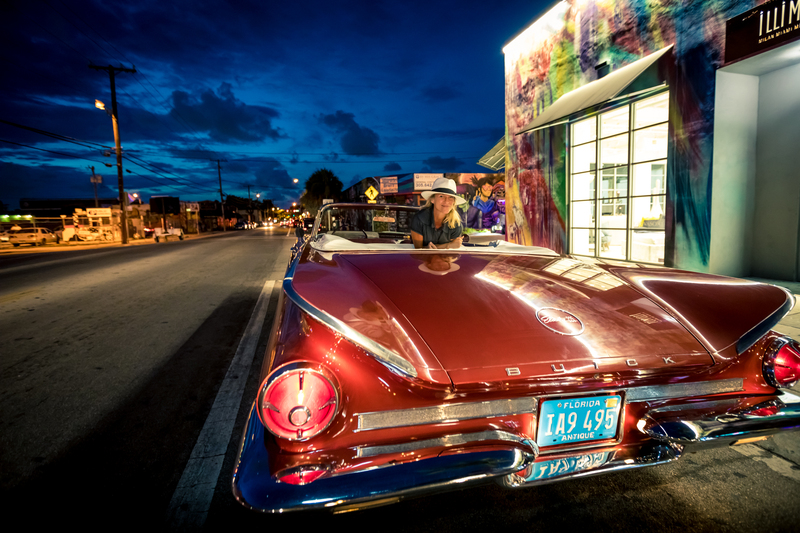 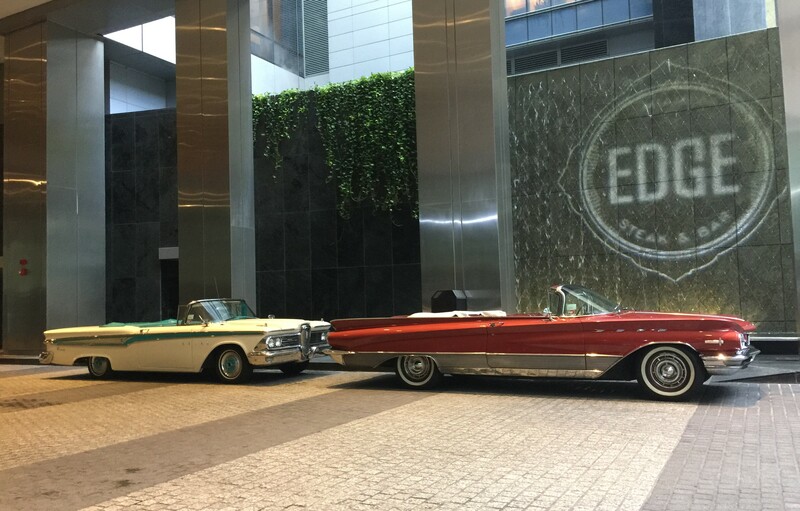 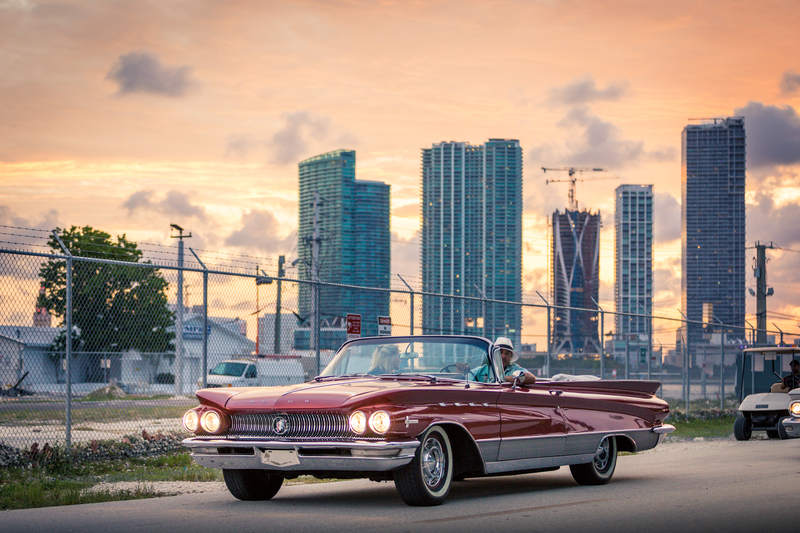 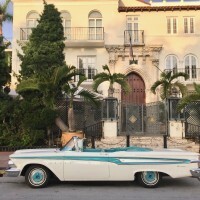 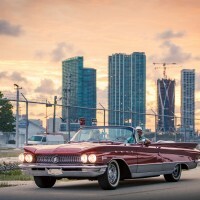 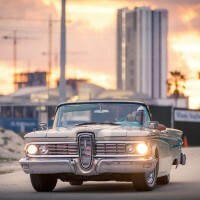 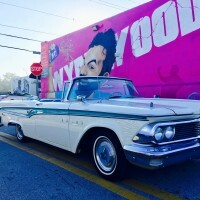 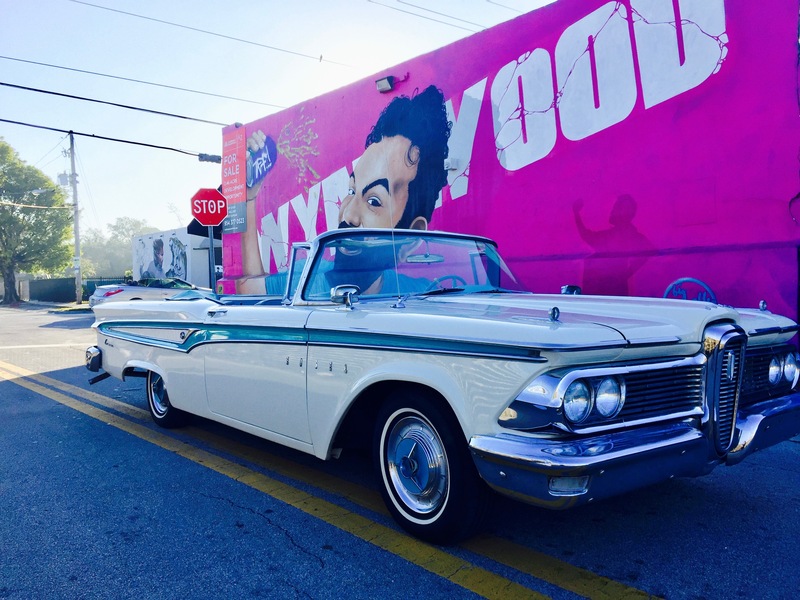 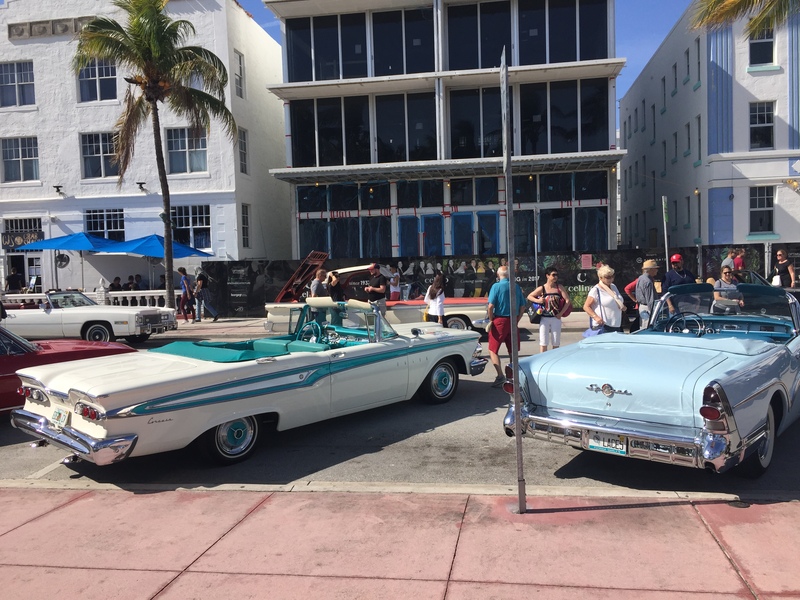 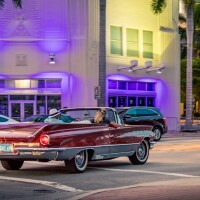 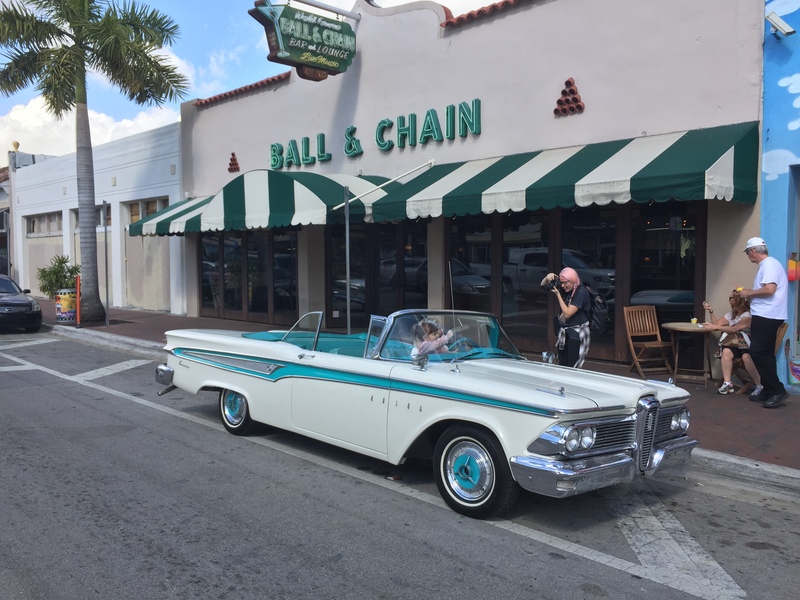 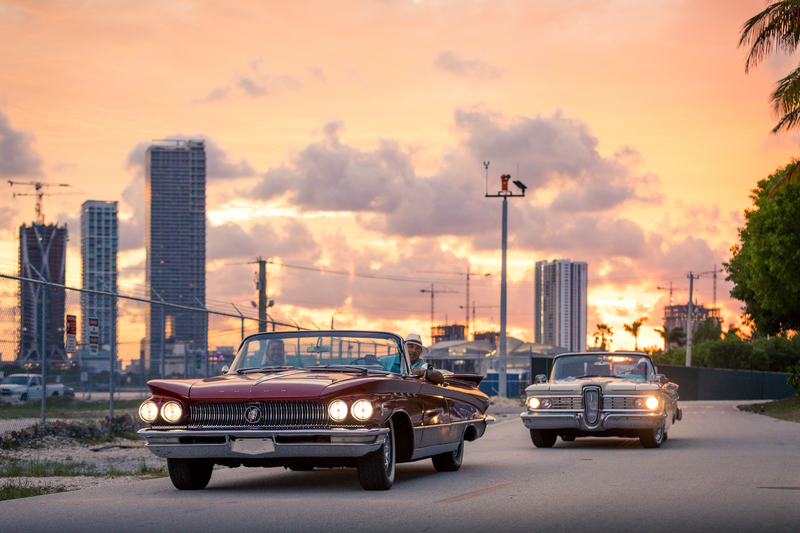 See our Classic Car Collection in person by Booking a Tour or let us know and you can see our cars at the National Hotel on 16th and Collins in Miami Beach. 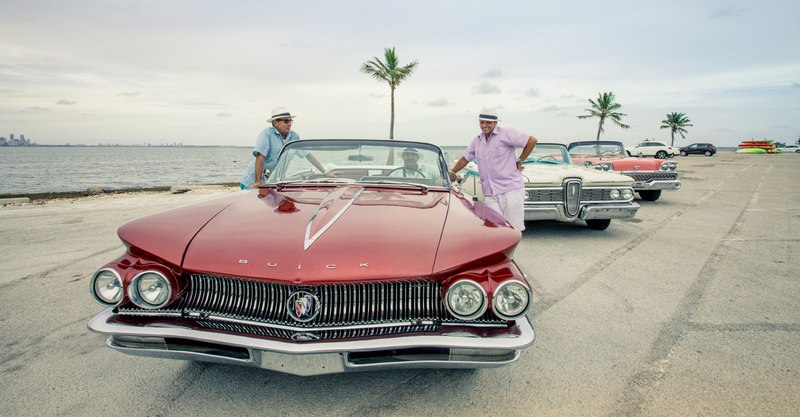 We love our 1960 Buick Electra with its smooth lines and comfy leather interior! 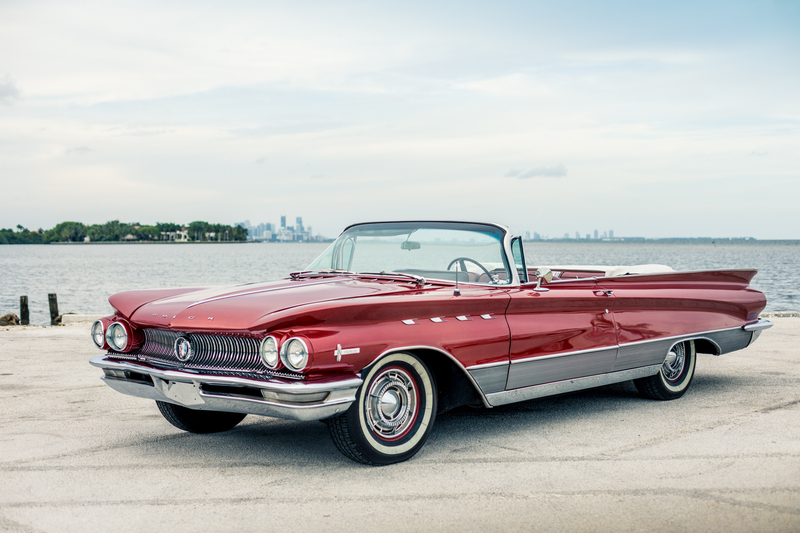 The Buick Electra was Buick's top model in 1960. 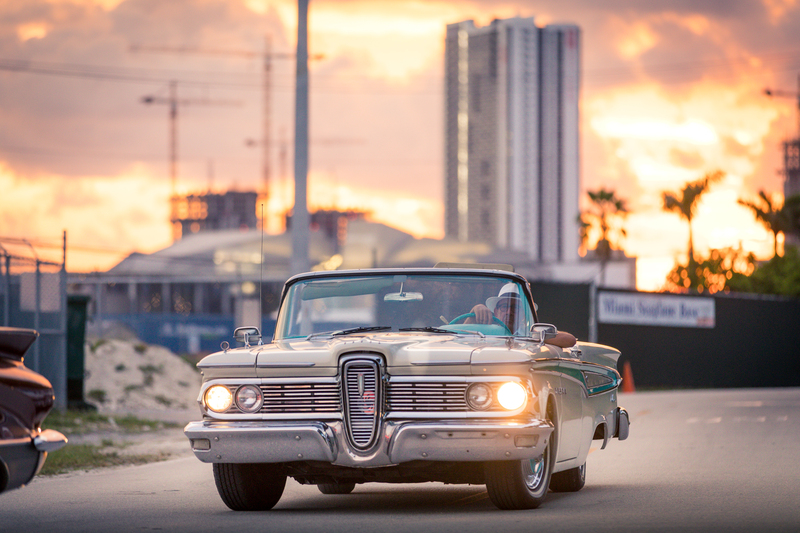 It was built for both speed and comfort. 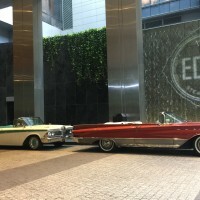 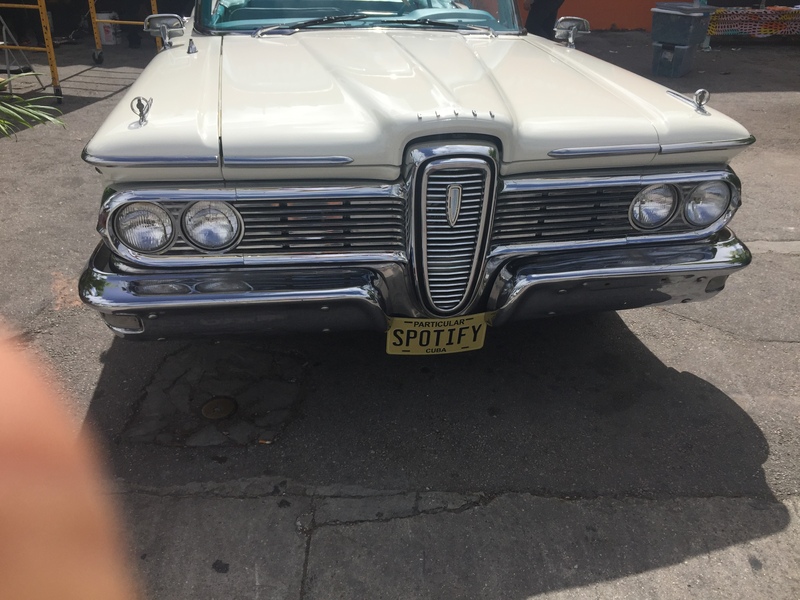 This was Electra's nickname because the car itself is 225 inches long, hence the name of the 225 Series designation it was given. 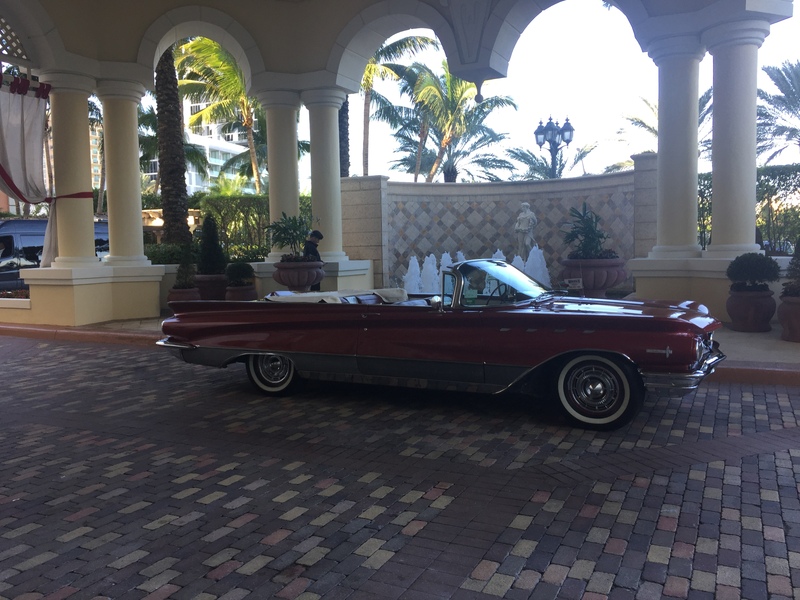 You can see the Electra 225 badge circled on the deck lid. 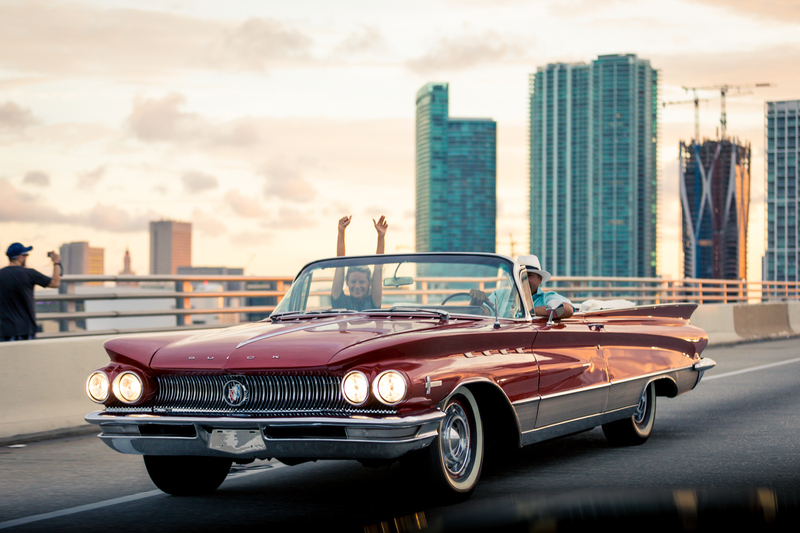 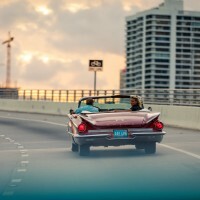 The Electra convertible is powered by a 401ci / 6580 cc V-8 engine with 325HP! 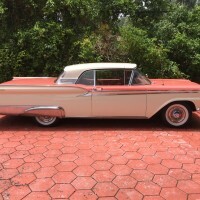 This one-year body was an upgrade from the model of the previous year. 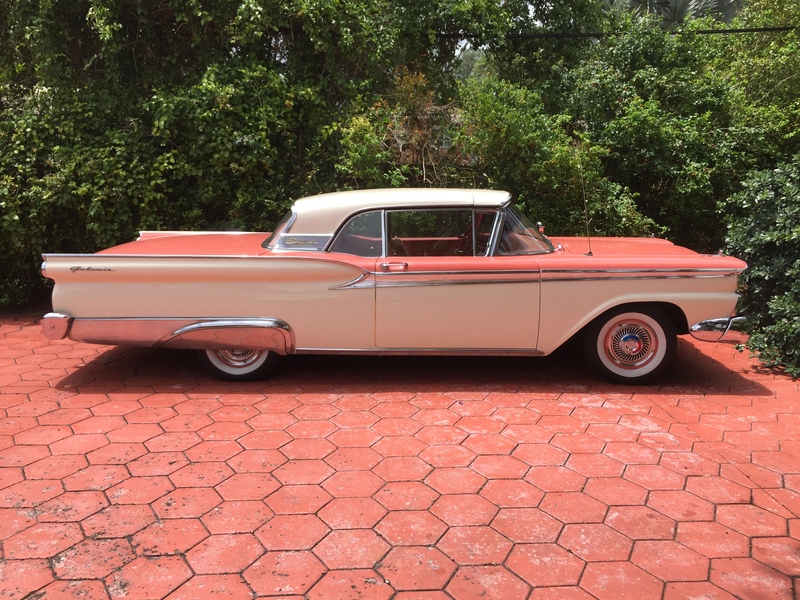 The canted headlights of 1959 were now laid flat and parallel to the bumper, complementing the wider, longer and lower overall styling theme of the early 1960s. 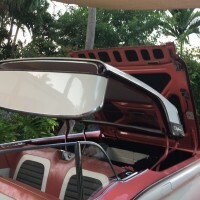 Accenting the clean bodywork, a pair of broad trim panels cloaked the lower body of the Electra 225, neatly integrating the front and rear bumpers with the body of the car a very elegant look. 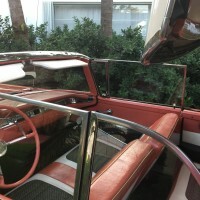 The entry model was the LeSabre with a basic equipment, following by the medium model Invicta. 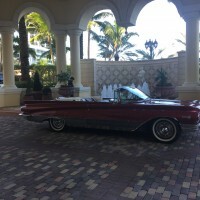 The top of the line, the Electra 225 Convertible was luxuriously equipped as is the car presented here. 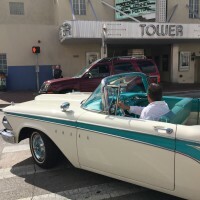 It includes a vinyl interior, power windows, power seat, power-operated top, Super Deluxe wheel covers, two outside rear view mirror and the Safety Group. 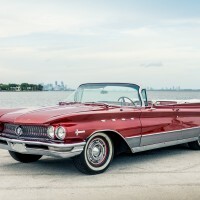 Standard equipment on all premium Buicks also included a padded dashboard, power steering, power brakes, two-speed wipers and dual exhaust outlets. 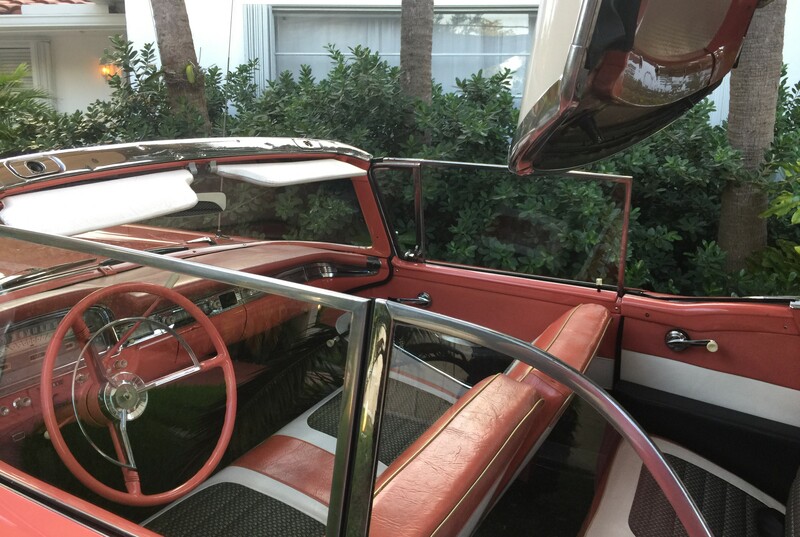 It even has a speedometer that adjusted for the driver’s height. 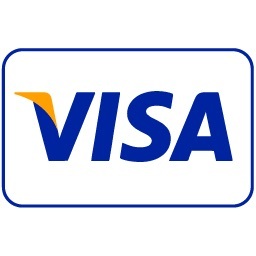 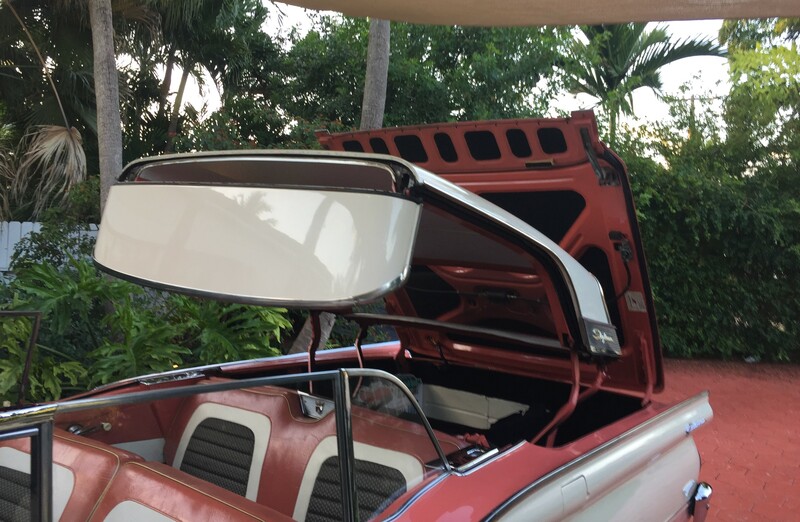 In fact, it’s a mirror and the speedometer is build upside-down. 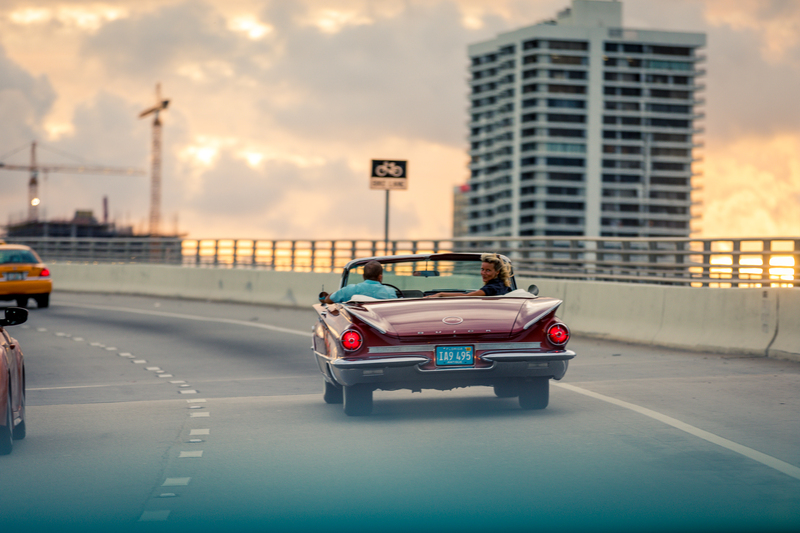 A “cruise control” was completing those options, by letting you know with a buzz when you reached the requested speed limit. 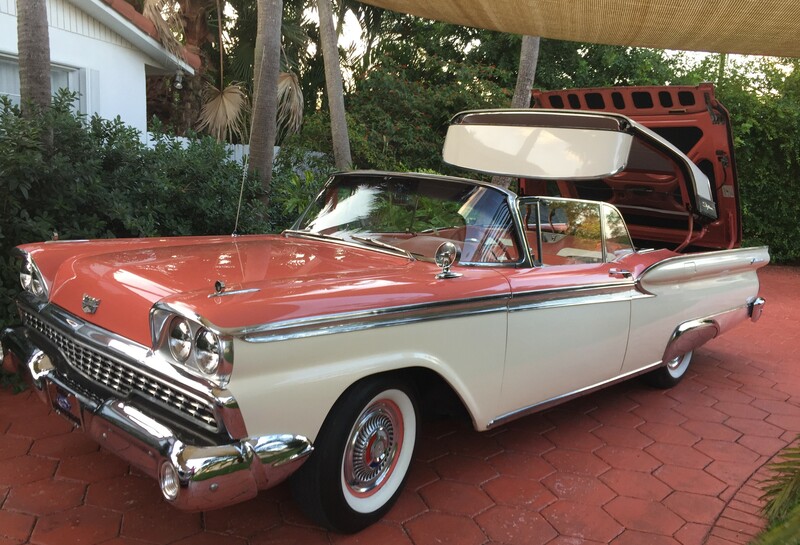 1959 Ford Skyliner Hardtop with Retractable Roof! 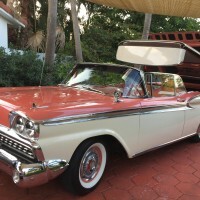 The Ford Skyliner (Retractable) is a two-door, full-size car with a retractable hardtop. 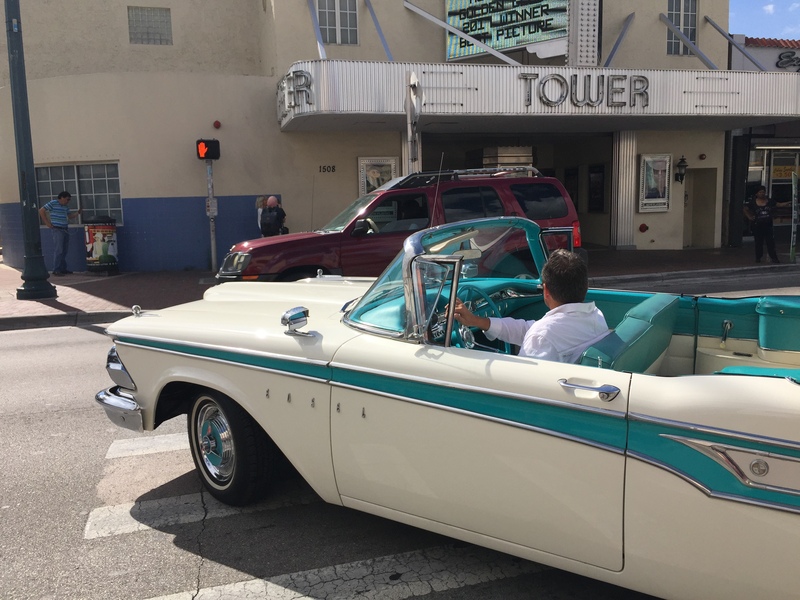 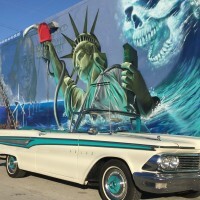 Our 1959 Ford Skyliner is Turquoise and White with a matching interior. 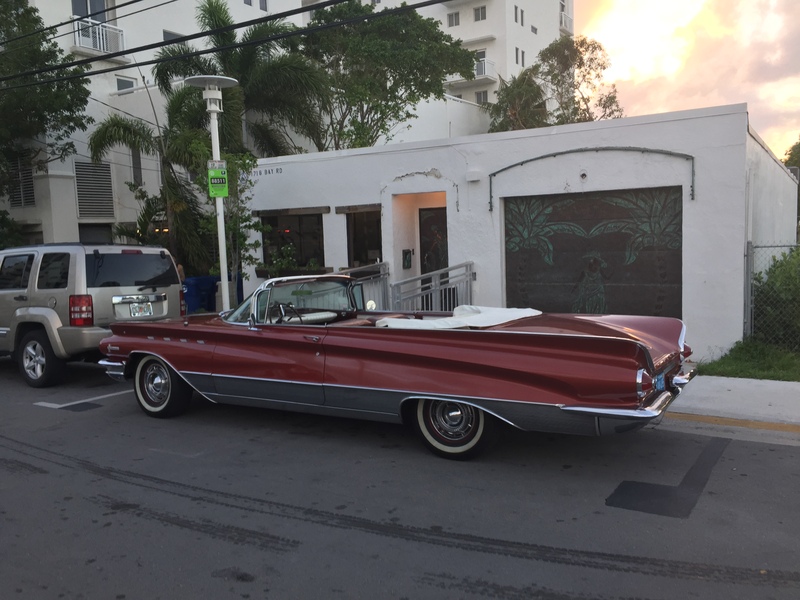 Beautiful wide whitewalls, shiny wheel covers and exhaust deflectors.